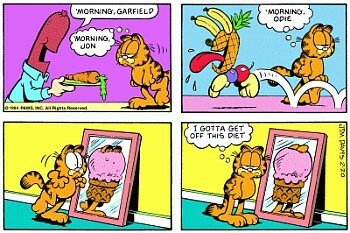 Why You Fall Off Your Diet - The Garfield Way! 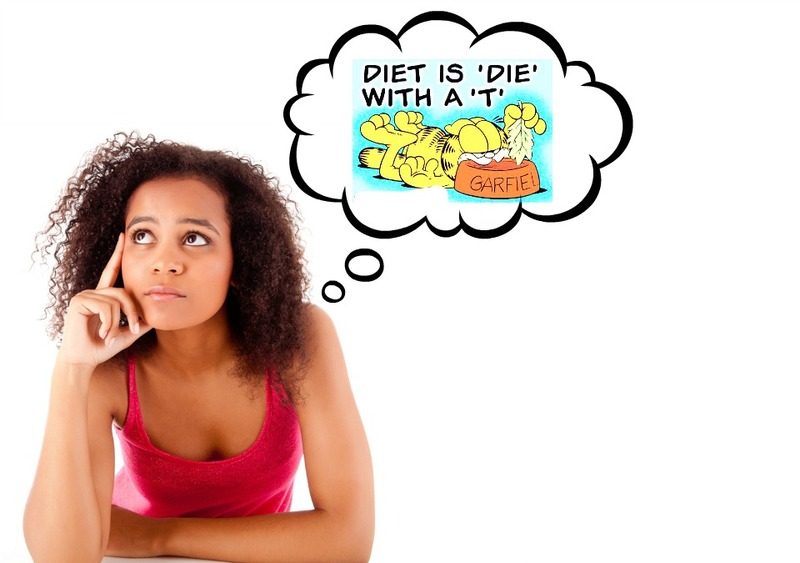 Why You Fall Off Your Diet – The Garfield Way! This happens to the best of us. You went on this new diet everyone was talking about and you loved it too. The definition here love can differ from person to person based on how sadistic you can be. Anyways, you even managed to achieve your diet goals (whatever they might have been) and then you decided to treat yourself since you did such a good job and before you know it… the small cube of chocolate you were supposed to eat on cheat day ended up more like a block and before you knew it –you were off the diet- aka story of my (pre-yogi) life. The problem with diets is that they restrict not just food but nutrition too, which makes you feeling hungrier (with a vengeance). So your friend lost tons of weight on this diet so let me do it too right? Wrong! Everyone’s body composition is different. So every diet will have a different effect on different people. If you go an alarmingly radical diet, your body will be put on a self- preservation alert and what’s that –accumulating fat for bad times and of course, we fall off the diet because it’s not working. Here’s why you fall off your diet eating diet food- it’s empty calories. Feeling satisfied has a lot more to do with minerals and vitamins than actually the number of chapatis you eat. Diet food is processed and is naked as long as nutrients are concerned. We fall of unbalanced diet because we end of compensating all the ‘healthy’ ingredients with the ‘tastemakers’ that sneak the calories back in. I’m talking ketchup, mayo, salad dressings, pickle, salt and the likes. If you’re thinking about food ALL the time on your diet chances are you will fall off it. Remember the bar of chocolate in the beginning… That’s what we are talking about. The more engaged you are in an activity that you love the easier it will be for you to keep your mind off food. So go ahead and join that zumba, yoga, pottery, music class and celebrate your diet. This is crucial. Stop stocking food that might make you fall off the diet and stay on it. Its as simple as that. Be selfish and stop buying that cake for husband and that juice for your kids. Anyways you would be doing them a favour too by not keeping all these things at home in the long run. That’s right. Stop feeling sorry for yourself for being on a diet. Include your healthy favourites in your diet and enjoy them thoroughly so that you can keep those ‘cheat days’ at bay. Stop counting calories all the time, instead count the nutrients and keep hunger and cravings away. Small steps and changes will see you getting better results than long periods of starvation. Make healthy eating and not diet a part of your daily lifestyle. Yeah! That’s the worst thing you can do to yourself on a diet. Everyone is different. Maybe you don’t need to lose that weight at all. The food you are eating will be better digested if you love and accept yourself as you are. So keep your enthusiasm and willpower up and instead of tackling that diet like and enemy engage with it like a friend and get the benefits. Of course, let me know how it went. Pregnancy Workout That Are Inspiring The World!